Soak cashews overnight in water, or pour boiling water over cashews and soak for two hours. 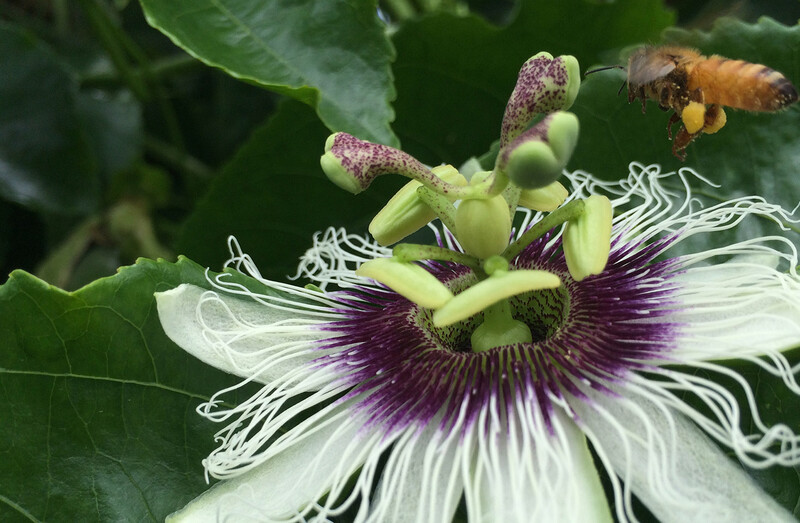 Remove passionfruit pulp and place in a bowl, microwave for 30 seconds on high, then strain through a fine sieve. Reserve the juice and seeds. Zest and juice the lemons and limes, set aside. Line the base of a 26cm spring form cake tin with baking paper. To make the base place almonds pistachios, desiccated coconut, dates, vanilla, passionfruit seeds ad salt in a food processor. Process until the mixture resembles a fine crumb and comes together when pressed. Place crumb into the cake tin and press down evenly to form the base. Chill in freezer. Melt the coconut oil in the microwave at 10 second bursts until it becomes liquid. To make cheesecake layer, place drained soaked cashews, lemon and lime juice, honey, vanilla, salt, melted coconut oil and zest into the food processor. Blend until very smooth and well combined. Pour half the mixture unto the cake tin and tap to level out the filling. Place in freezer to set for 1 hour. In the meantime blend the other half of filling with passionfruit pulp until well combined. Then pour over chilled first layer, and set in freezer for at least 2 hours. When cake is set remove from freezer, and with a wooden skewer release the edges of the cake before removing it. 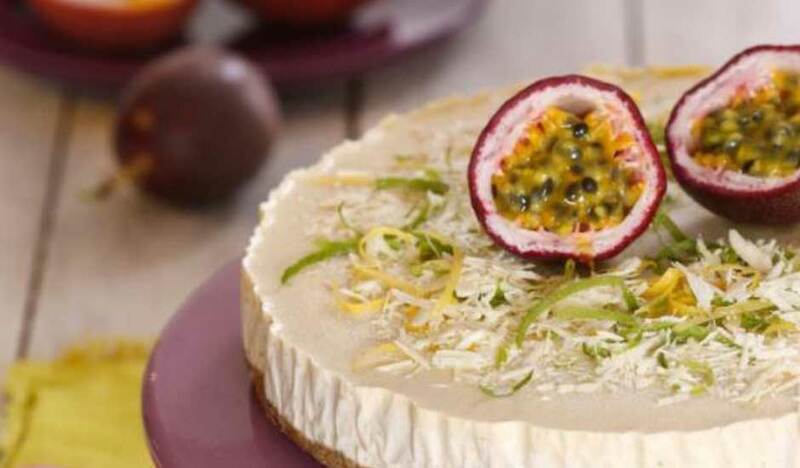 Scatter shaved white chocolate and zests around the centre of the cake and top with halved passionfruit. Enjoy frozen or chilled.